Prior to 1 September 1994 New Zealanders were automatically granted permanent residency upon entering Australia. A Resident Return Visa (RRV) enables them to reinstate that former permanent residency and become an Australian citizen. 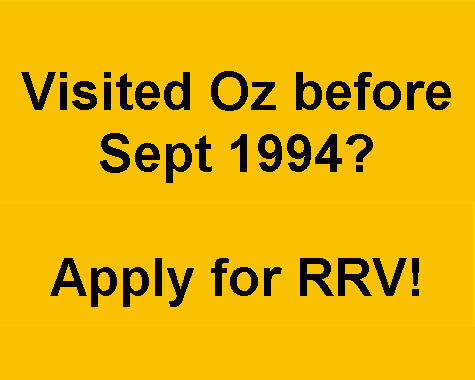 Once granted RRV always check the Must Not Arrive After date on your visa grant notice before travelling overseas. Find out more about applying for a Resident Return Visa.